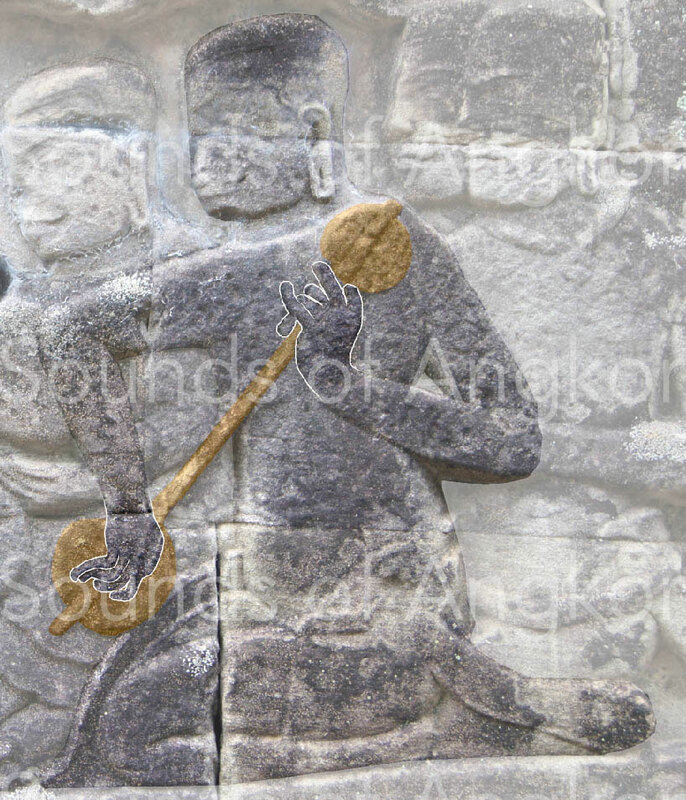 Double-resonator zither - Site de soundsofangkor ! In 12th-13th centuries, all the zithers are represented with two resonators. 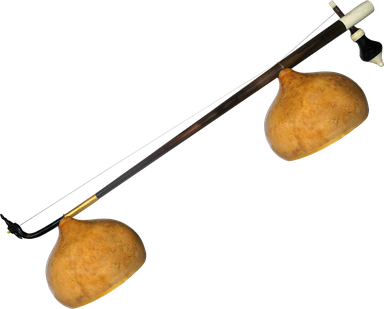 Some sculptures reveal only part of the instrument, but given the position of the visible resonators and the recurrence of this typology, it can be said that these zithers have two resonators. We don't know the number of strings of this zither but we start on the axiom that it is the same instrument as the monochord zither given the similarity of musician playing position. The lower resonator allows to increase the sound power of the instrument. According to the iconography, this zither was played by pair at the royal court of King Jayavarman VII and for entertainment with harps, scrapper and small cymbals.The playing technique seems similar to that of the kinnara monochord zither. In 12th-13th centuries no document attests to its name. 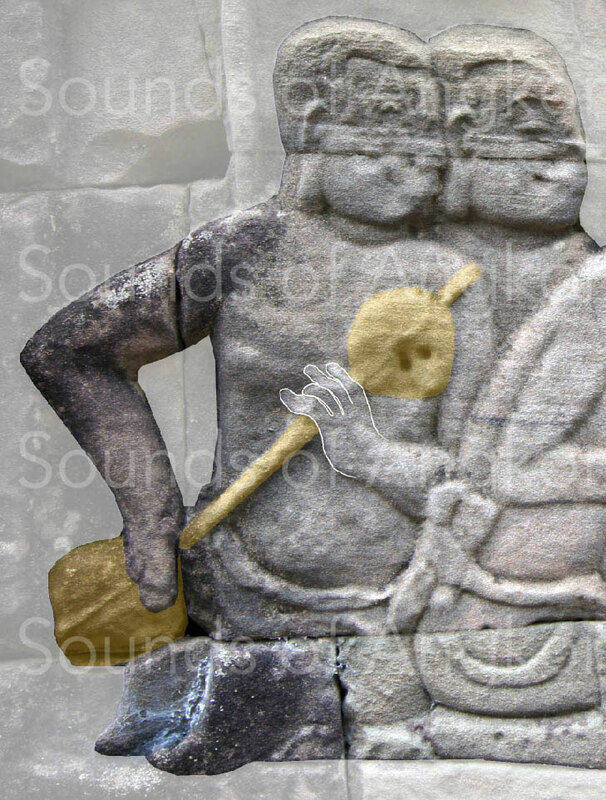 On this bas-relief, the position of the hands is similar to that of the contemporary players of ksae diev. The position of the right arm and the hand are characteristic. Bayon, Circus scene. 13th century. About string and materials, see Monochord zither.